The New York people yelled watching the eerie blue colour on the sky at night. Some wondered whether it could be some kind of alien invasion. Some believed that it was time for the Judgement day. An explosion at an electrical power station in New York City on Thursday evening lit up the sky with an eerie blue light and triggered a train of thought on social media. 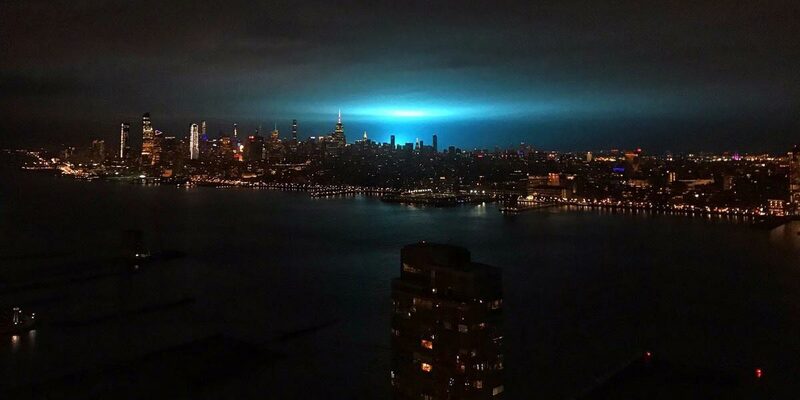 The New York Police Department confirmed the incident in Astoria, the port city of United States and the strange light was caused by a transformer explosion at Con Edison power station in the Astoria neighbourhood of the borough of Queens. The police department reassured there were no injuries and no evidence of extra-terrestrial activity. The tremors shook buildings and rattled windows, sending people running into the streets. Residents reported temporary power interruptions. Meanwhile, the power cut hit New York’s LaGuardia Airport, which warned travellers to be prepared for delays. No flights took off between 9:22 and 10:23 p.m. according to FlightAware, a flight tracking data company. All terminals were bumped by the loss of commercial power, causing the FAA to issue a temporary ground stop.